Dating has never been easy. 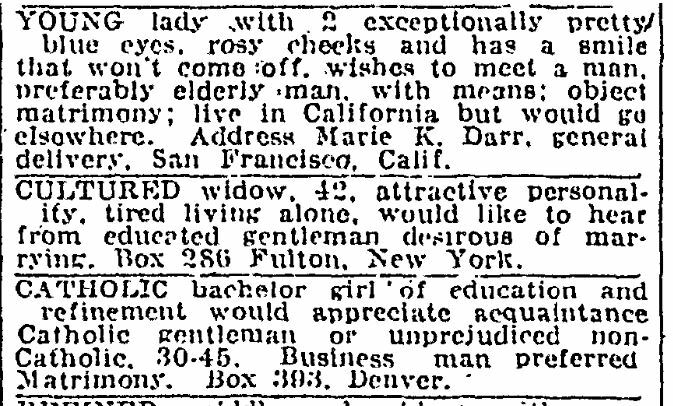 Before Tinder, single women and men would place personal ads in print newspapers. 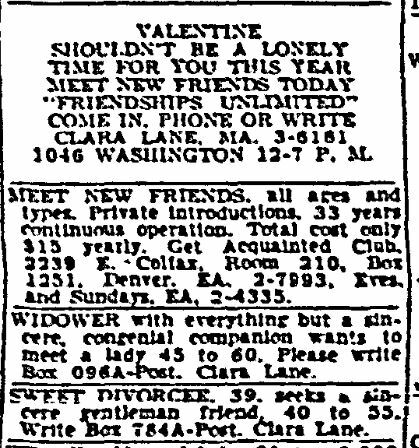 Looking through our extensive newspaper collection we found some gems that are sure to make you smile and cry this Valentine’s Day. 1. Lady Edith seeks pen pal. 2. Low key gold digger seeks discreet friend. 4. 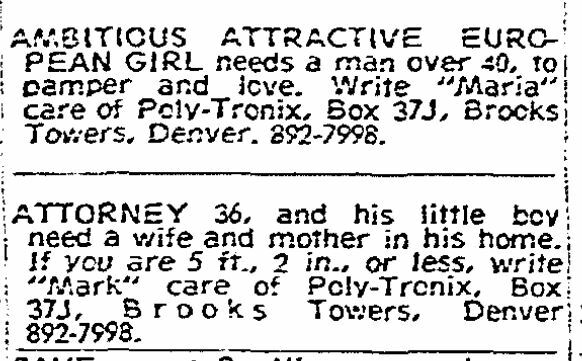 Young man seeks mother, father . . . and possibly inheritance. 5. 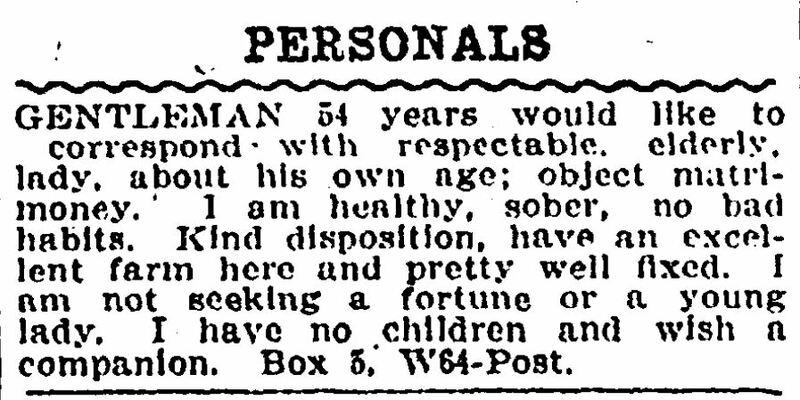 Woman seeks handsome and smart human-bank account. 6. 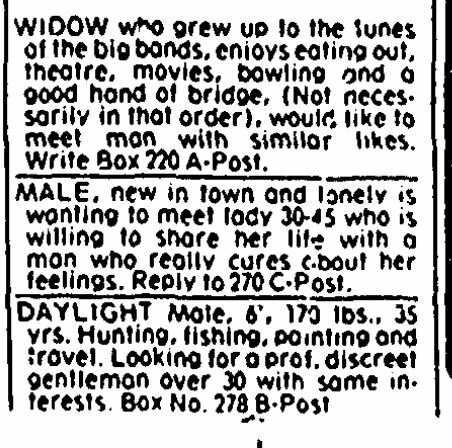 Three ladies with lovely personalities seek men who will put a ring on it. 7. Maybe Maria and Mark just need to get together? 8. For a small fee, you too can find love on Colfax. 9. Tantra yoga in the 1970s. 10. Lonely onlys seek hobby partner, someone to get emosh with, and discreet young buck.